Ok, so Yuki Kaori was once my favorite mangaka. 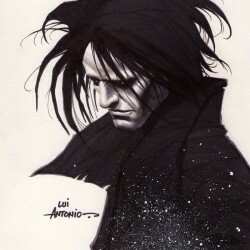 When I was in high school, I really enjoyed "Angel Sanctuary". Now that I come to think about it, I tried to re-read it a few years ago, and I was pretty disturbed by the incestuous relation between Setsuna and Sara. I hadn't seen it when first reading it. Seems like I was a bit stupid. 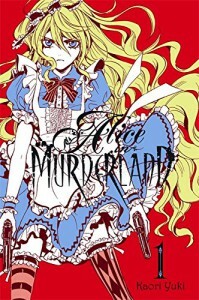 With "Alice in Murderland", I felt a bit the same feelings than when I re-read "Angel Sanctuary". I still like Kaori's drawings. But the drawings were the only thing I really liked in this book. So, Stella is a young girl, her family is very wealthy, and every month all the members are gathering to have a tea party together. But one day, their mother tells them that to choose the one who will be the heir of the family, they all have to kill each others until there is only one left alive. And there is this brother whose name I forgot (let's call him Justin) who is a bit mad and who tries to kill Stella but Stella was in love with another brother (forgot the name too, let's call him Alfred), but Justin killed Alfred, so Stella is not very happy about it and she magically transforms into "Mad Alice", who is a psychopath, and she kills Justin, but another Sister (let's call her Sister) becomes a psychopath too because she liked Justin and blahblahblah. So, like I said, the drawing was good. Now I think I'm going to take a cold shower and cry a bit over my lost youth.